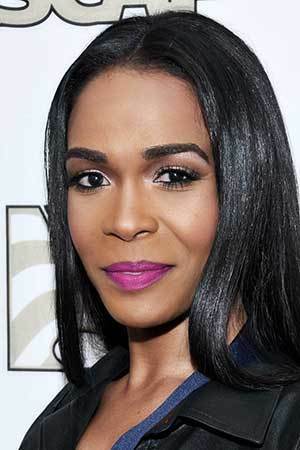 Artist and entrepreneur Michelle Williams, formerly of Destiny’s Child, will take part in Women Empowering Women, a daylong event for local high school girls, from 9 a.m. to 2:15 p.m. Thursday (May 24) at Corbett Family Hall at the University of Notre Dame. Hosted by Notre Dame’s Office of Public Affairs and the South Bend Community School Corp., the event will focus on self-respect, healthy body image, healthy friendships, academic success and goal-setting as a way to counter the negative influence of peers, social media, music and movies on self-worth. Williams, best known as one-third of the hit-making trio Destiny’s Child, will deliver the keynote address. In addition to her work with Destiny’s Child, Williams has released several solo albums, acted on and off Broadway and created a line of home products. She is an ambassador for the Office on Women’s Health, a division of the U.S. Department of Health and Human Services. Geared toward high-performing and at-risk students of all races and backgrounds, the event is meant to expose young women to male and female leaders from Notre Dame and the surrounding community and empower them to pursue their personal, professional and academic goals with confidence. Karrah Miller, director of public affairs at Notre Dame, developed the program with Kenn Hardy, student services supervisor for the South Bend Community School Corp.
“Kenn Hardy and I are so passionate about the success of our young men and women in this community. We hope this partnership is the catalyst for more conversations and engagement with our girls to help them understand they are beautiful, they are brave, and when they set goals and connect with the right people and disconnect from the wrong ones, they can experience great success and fulfillment,” Miller said. More than 200 students from five local high schools — Adams, Clay, Washington, Riley and Rise Up Academy — and the South Bend Community School Corp.’s School Age Mothers Program, an alternative program for pregnant girls in grades seven through 12, will participate in the event. Originally published by Erin Blasko at news.nd.edu on May 22, 2018.